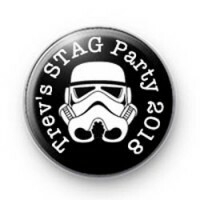 Storm Trooper Stag Party Badges. Fun guys night out friends stag married marriage wedding groom. Please let us know the Stags name in the box below!